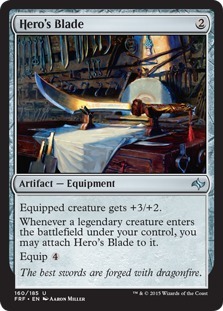 The complete Fate Reforged set was spoiled this week. 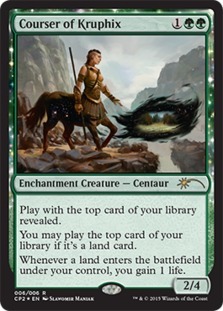 Be sure to check it out to prepare for your Pre-Release events happening this weekend (Jan 17-18). 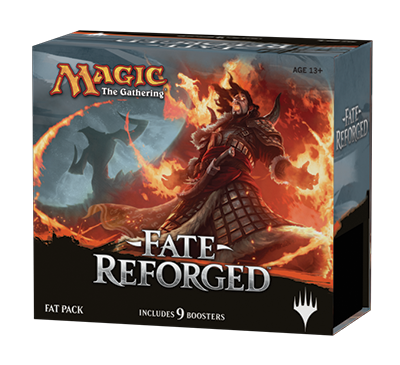 The Fate Reforged Clash Pack was announced this week. 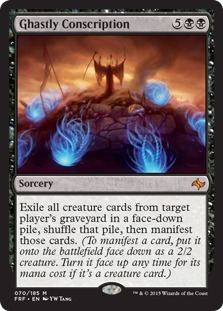 It will contain 2 ready-to-play 60 card decks with six premium alternate art foils. 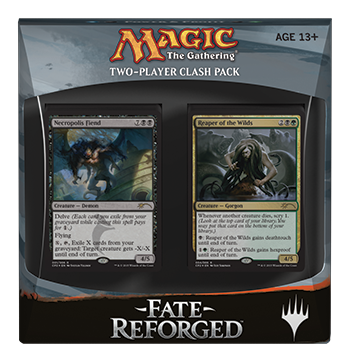 See the complete decklists (with prices) for the Fate Reforged Clash Pack. 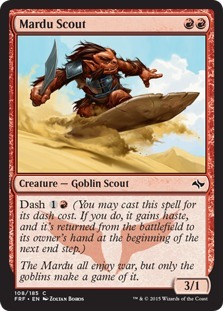 I'm super excited to announce the launch of the official MTGGoldfish podcast! The weekly podcast will discuss the latest in Magic the Gathering news, give you insight behind the numbers on the website, and provide in-depth discussion behind the articles. 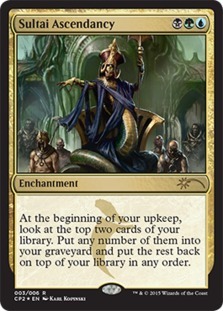 This week I'm joined with our host Chaz from BoltSnapBolt (and admin of the MTGFinance facebook group) and our popular mtgfinance author Seth (@SaffronOlive). 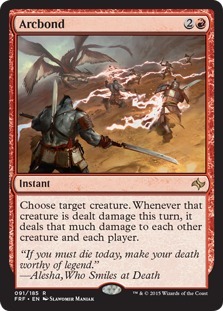 We'll be discussing the Fate Reforged Spoilers and design precedents in the set. I hope you give it a listen and subscribe on iTunes! 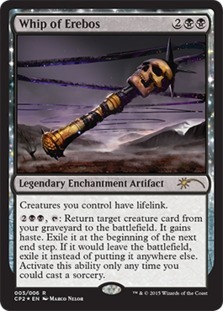 If you have any questions to submit for next week's mailbag, tweet using #mtgfishmail and we'll cover it in next week's episode! Magic Online has been getting a bad rap in the community lately. However, the truth is while it is far from perfect, it is perfectly acceptable 99% of the time. 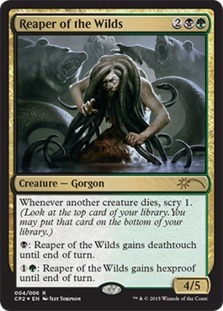 If you love Magic the Gathering, you'll love Magic Online. I know the task of building an online collection is daunting, so I put together a complete guide for getting started on Magic Online for under $20. If you are sufficiently skilled, with the initial $20 you can play for free and earn tickets towards more cards. Check out our Getting Started on Magic Online $20 video. 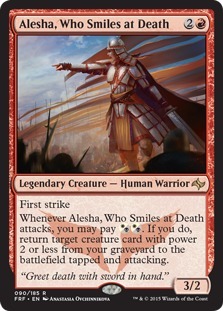 Tomer is back with another great Budget Commander article. 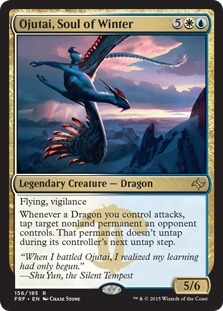 This time he builds a great deck for a more serious/competitive playgroup: Budget Commander: Talrand, Sky Summoner. 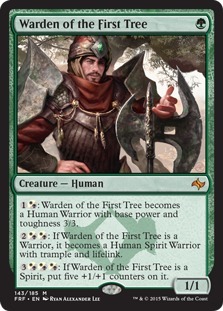 Tomer has also setup a Twitter account, so be sure to follow him: @ACommonCauseMTG. What happened to being strictly casual?